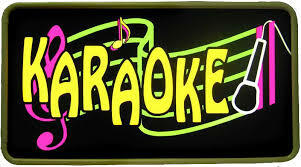 Fancy a fun night out at our best Karaoke Sydney Upper & Lower North Shore venues? Check out our extensive listings of places to sing including Upper & Lower North Sydney hotels, pubs, clubs and boutique karaoke bars. A wide selection of drinks, good music and great people – what more could you ask for? Karaoke of course! The best karaoke Sydney pubs and clubs not only offer a relaxed karaoke atmosphere with excellent service and friendly staff, but also serve awesome meals, have great drink specials and other regular activities for their patrons. There’s no better time to grab a microphone, get up on stage and give karaoke a go! Choose from great local venues within the immediate Lower & Upper North Shores area as well as some we’ve included just slightly to the west (Blacktown, Carlington & Castle Hill). Take a look on the map! For starters, locals and visitors can head out for Thursday night karaoke over at Hornsby Inn. Friday nights it’s all happening over at Chatswood RSL – a great family venue, so take the kids along as well! And Saturday nights North Sydney has karaoke on at the Rag & Famish Pub. We don't have an listings for Sydney's Northern Beaches as yet, so if you know of a karaoke in that area, please let us knw so we can list it. Check out our current places to sing in Sydney's North and go let loose your inner rock star or rock diva! All in all, you are guaranteed a fabulous evening of singing, dancing and plenty of fun!